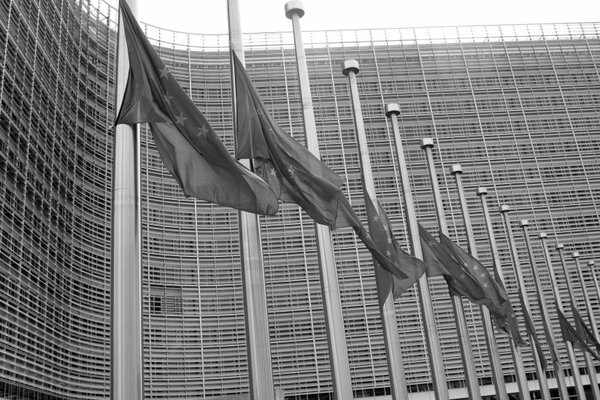 The British Gazette » Do not look for whom the bell tolls: It tolls for thee…..
At Noon (CET) – not long ago – institutions and the public in Brussels observed a minute’s silence in honour of the victims of Tuesday’s attacks. Brexiteers must be in know doubt what this and sadly future such attacks combined with the continuing migration crisis in Europe can do for the Leave campaign. However it must be VERY CAREFULLY handled. Think nitroglycerine Dear Reader! The British Gazette does not dispute the content of what Mr Hookem said. We do however dispute the timing. It was TOO SOON! Be in no doubt Dear Reader what has happened, is happening and is likely to continue happening on the continent of Europe could well deliver us Brexit! However, we must carefully handle it and realise that there are an awful lot of statements that it will be unnecessary to make and in fact, if made will be counter productive! Unpleasant things can happen in life which require no comment. Someone farting in a lift (for our US readers, an elevator) for instance. 1. Large numbers of Muslims who are citizens of EU countries have travelled to Syria to take up arms with the terrorist group IS. These people obviously pose a terrorist threat. 2. The terrorist group IS is now active in Europe (this includes the UK). 3. The UK has a large and growing Muslim who are socially, culturally, religiously distinct from the other members of the UK’s population. 4. There has been, is and will continue to be a migration crisis of Muslims – most of whom will be socially, culturally, religiously distinct from the non Muslim members of the UK’s population – they come from Afghanistan, Iraq, Pakistan and Syria and sub-Saharan Africa. These migrants have, are and will continue to migrate to the continent of Europe in huge numbers between today and Thursday, 23rd June 2016. Many British People (voters) are “spooked” by these things. They see a European Union in crisis. They see millions of Muslims arriving here in Europe. They see active terrorist cells composed of Muslim extremists murdering innocent civilians. These things are contributing to an attitude of “let’s get out of here” and this CAN work for us – IF we handle it correctly. Mishandled, it will backfire and do us harm! The CORRECT way of handling this is not to talk about it too much. Remember by their murderous actions IS, spread their own evil message. As for law abiding peaceful Muslims – the vast majority – their distinctive Asian dress code – burqas and niqabs for the women and the distinct dress of the men – spread their own message which says: “we are different from you and we have not integrated”. Any Brexiteer which states this verbally will merely be kicking the ball into our own net for they will be condemned as racist! The statement is also redundant as most non Muslim Brits are only too aware of this! If asked many – most – British People would not state such in public or to a stranger – an opinion pollster for instance – but they will say this to family and friends. The other MAJOR reason for NOT saying anything is that it will not encourage a critical response from the opposition! You see, the politically correct establishment are very concerned at these developments. They would prefer to turn a blind eye to it. Our response should be to let them! NB: The Chameleon KNOWS this may loose him the Brexit vote! Which is why he asked Mr Obama to come and support him and which is why Mr Kerry will have overridden the very strong objections of professional diplomats in the US State Department! What MIGHT happen is this: Mass Muslim migration will increase as Spring is here and gives way to Summer. There might be further terrorist attacks – WE HOPE NOT! The EU’s response will be inadequate. It will look increasingly likely that Turkey will become an EU member sooner rather than later. Such “events” could restore lawful sovereign government to this formerly sovereign United Kingdom of Great Britain and Northern Ireland. Our job is to see to it that none of us put the kibosh on this! Wise words, indeed, here. Our major task is to argue the case for exit with constructive economic points, and restoring the fishing and farming industries. Britain is not earmarked as an industrial nation by the EU and we must push this point home firmly to the electorate. Immigration does account for a percentage of new homes built and we must constantly remind the voting public of this. We don’t have room for our own people, particularly the young. Nothing racist there, just plain economic common sense.. Your statement “Think nitroglycerine Dear Reader!” is outrageously insensitive given the circumstances! You should be ashamed of yourself. Disgraceful I say!